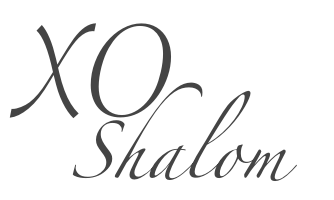 I've been loving all things watermelon, lemon and banana themed lately. 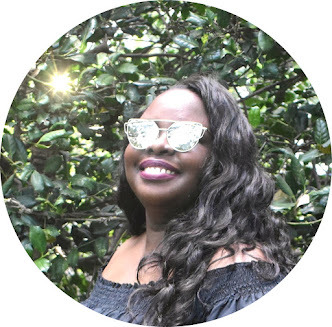 For this post I chose my favorite bags, shoes, jewelry, phone cases, clothing, beauty products, swimsuits and so on that feature these delicious fruits. 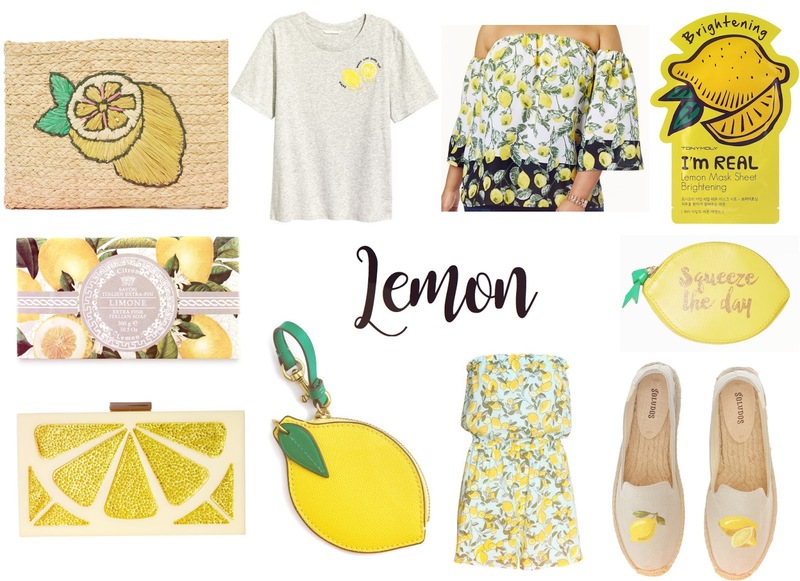 Obsessed with the lemon clutch by Alice + Olivia, the Soludos lemon espadrilles, and the INC off the shoulder lucky lemons top. 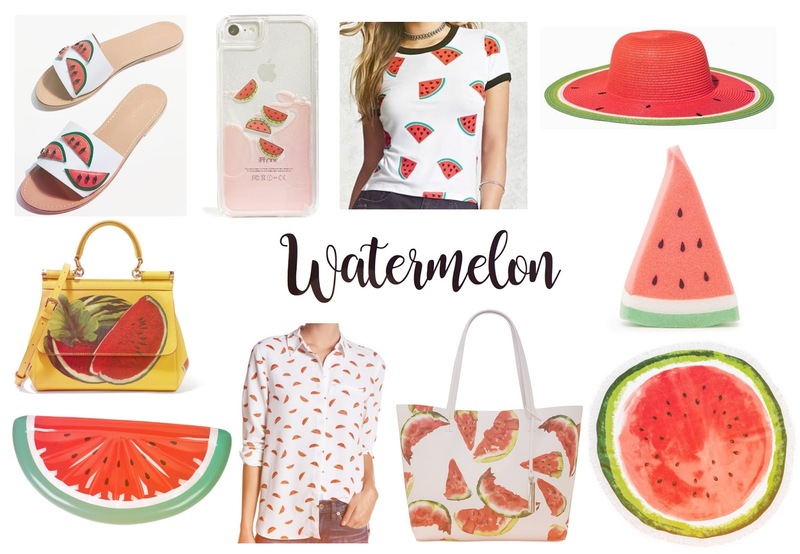 Loving the watermelon bath sponge from F21, the Dolce & Gabbana shoulder bag, and the Alice + Olivia watermelon sunglasses. 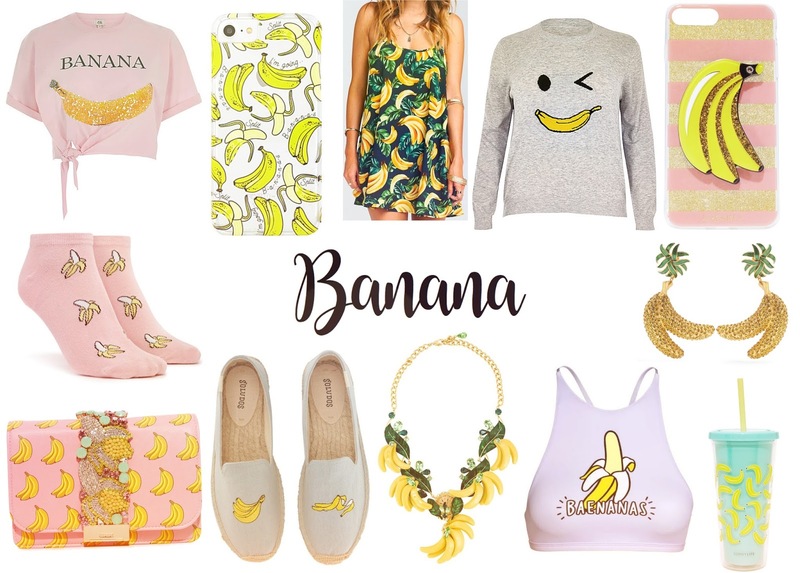 Really liking the super cute Gedebe banana clutch, the pink banana crop t-shirt from River Island, and the banana round beach towel from Kavka Designs.